At St. Lawrence Collections, our floors are manufactured by specialists who have become masters in the art of processing wood. Our state of the art milling and prefinishing line ensures the highest standards of quality control over all phases of manufacturing providing our customers with a dependable product lasting generations to come. We specialize in prefinishing both domestic and exotic species, and back up our products by a comprehensive warranty package. 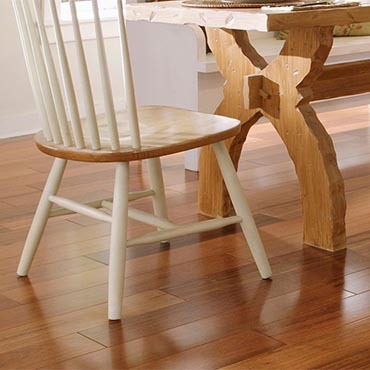 We extend the life of our floors by applying multiple coats of polyurethane with aluminum oxide as a major ingredient. As well, our finishes have a sun-shield protection which prevents pre-mature yellowing. The durability of our prefinished hardwood floors ensures that our floors will be enjoyed by our customers for many years to come. Concerned about environment protection? St. Lawrence attaches great importance in minimizing wood waste and preserving forest resources.